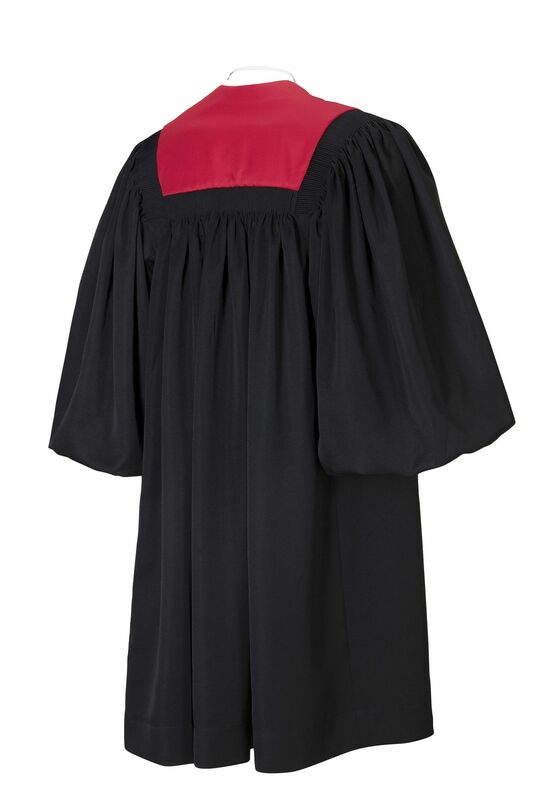 Black gown with scarlet red lapels running down full length of gown and yoke. It has cuffed bell-shaped sleeves. 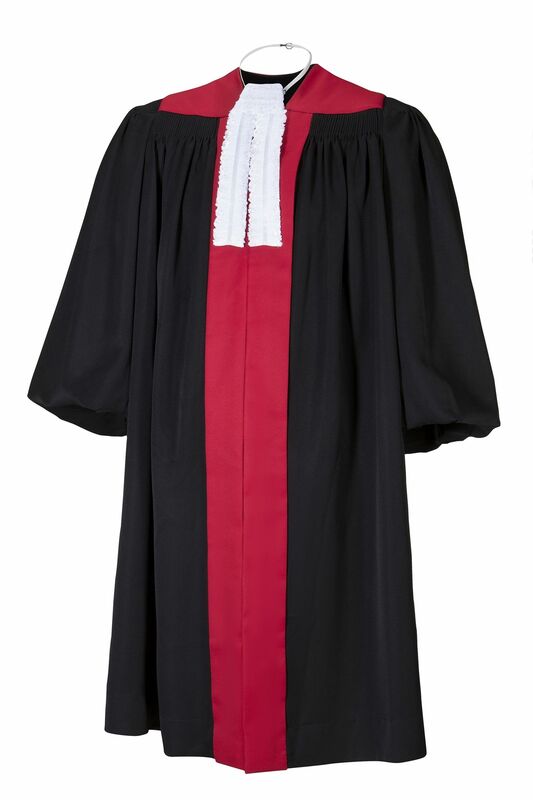 The Regional Magistrate is required to wear the gown with an Advocate's Jabot.